« Flip's home movie set-top box launches – wrong target audience? Resistive screen. This is one area where we can see some obvious cost-cutting. Unlike the Hero, the HTC Tattoo utilises cheaper ‘resistive’ touch screen technology rather than ‘capacitive’. Resistive screens require more pressure to register a touch and therefore tend to be less responsive when using the flat surface of a finger as apposed to a finger nail or stylus. The Tattoo doesn’t come with a stylus and nor should it need to. Android is designed to be finger-friendly after all. So how does the Tattoo’s resitive screen fair? It’s not actually that bad. The difference in responsiveness between the Hero and Tattoo is minimal, which makes me think that HTC have picked a particularly good resistive screen and/or that Android driven by the Tattoo’s Qualcomm processor running at 528 MHz (the same as the Hero) can more than handle the job. One thing that isn’t great, however, is that the screen appears to be recessed quite a bit with a thick layer of plastic or glass (I can’t quite tell) sitting on top. The result, coupled with the Tattoo’s lower resolution, is that text and images look a little soft. It’s bearable but it is a considerable step down from the Hero or Palm Pre or iPhones of this world. No multi-touch. It’s one of the costs of choosing a resistive screen. The Tattoo doesn’t offer multi-touch input. This mainly affects web browsing. There’s no pinch-to-zoom and instead the Tattoo offers Android’s standard zoom in and out on-screen controls. You can, however, still double tap to zoom in on a block of text, which I find works just as well. 4-way navigation pad. Breaking from standard Android protocol, the Tattoo doesn’t feature a mini track ball but instead uses a standard 4-way navigation pad. It’s not really an issue, still allowing for one-handed operation for most tasks, although scrolling through lists, such as your in-box, isn’t quite as smooth. Smaller battery. The Tattoo’s battery is 1100 mAh compared to the Hero’s 1350 mAh. While that will impact on talk time a little, for other tasks such as web browsing I haven’t noticed much difference. It’s a smaller battery but it has to power a smaller screen too. No portrait on-screen QWERTY. Being that bit smaller there isn’t room for a portrait on-screen QWERTY only a standard T9 type affair. It’s no big deal though, rotate the phone into landscape and an on-screen QWERTY appears. It’s pretty usable too. HTC’s on-screen QWERTY is way better than standard Android. Less megapixels. The Tattoo’s camera is only 3.2 megapixels compared to the Hero’s 5. Less megapixels is usually a bad thing but the Hero’s camera is rubbish anyway. If you’re after a camera phone, look away now. Android. Like the Hero, the HTC Tattoo is powered by Google’s Android OS, which means that it has the same superb ‘over-the-air’ integration with Google’s various web services – Gmail, Contacts, Google Calendar etc. – single sign-in and you’re good to go. The Tattoo also uses a slightly more up-to-date version of Android (1.6). 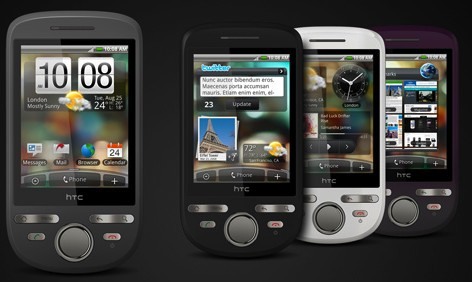 HTC Sense. This is where the Tattoo starts to punch way above its weight. 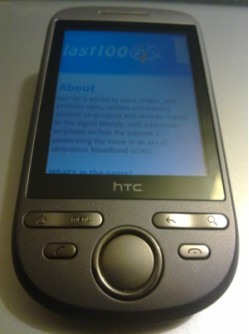 It has the same HTC Sense custom UI and social networking features as the Hero. Instead, I would have expected HTC’s cheapest Android offering to drop Sense in favor of a standard out-of-the-box experience but thankfully not. You get the same unified address book (Google contacts and Facebook), revolving home screen widgets (Twitter, Weather, Stocks etc. ), revamped media player and, frankly, a much nicer theme. It makes the standard Android look ‘n’ feel a bit like Windows XP in comparison. Superb web browser. The standard Android web browser is one of the best, if not the best, already on a mobile phone. But HTC have added a few tricks of their own, double tap to zoom and limited support for Flash, including Flash video. MicroSD card slot. Expandable and relatively cheap storage. 3G, WiFi and GPS. No shortage of connectivity options. 3.5 inch headphone jack. HTC finally gets it. No need to be stuck with the crappy ear buds supplied or use an adapter. FM Radio (bonus). The HTC Tattoo features an FM Radio, which the Hero doesn’t. Perhaps another reflection of its feature-phone like targeting. An FM Radio is standard on even the cheapest of feature phones but not so important on a high end smartphone, presumably because of the plethora of alternative media options. 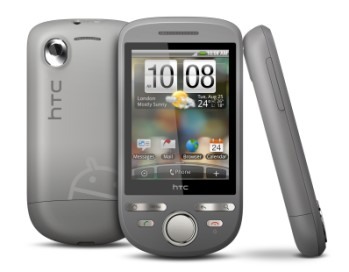 If you can afford a HTC Hero then you’re probably better off buying one instead. But if you can afford a Hero then you’re probably not the Tattoo’s target user either. And that’s the point. The Tattoo’s pricing puts it into the mid to low end smartphone / high end feature phone category but with less sacrificed than you might expect. i am a tattoo user, and i think this review is fairly correct. There's some short side due to the price cut features, but i do find i love my tattoo over all. it's a great introduction phone for android, makes me wanna stay with android OS in the future. can i check ms office documents using HTC tatto android phone? does it have ms outlook support for emails?